The development of different eco-friendly technologies in material synthesis is playing its role to expand their biological applications. Nanoparticles are synthesized chemically, but because of their hazardous effects, the researchers have now turned to biological systems for inspiration. There is a growing concern about the possible results of effects of chemical synthesis of nanoparticles. Therefore, the aim of this chapter is to provide an overview of how nanomaterials can be synthesized using green route to play its role in environmental sustainability as green synthesis processes are considered to be a safe alternative to routine processes due to their cost effectiveness, easy to handle, and environmentally friendly nature. In fact, it opens a new scope for phyto-chemists by discouraging the use of toxic chemicals. Biosynthesis of nanoparticles by plant extracts is currently under exploitation. Nanoparticles are a class of materials with properties distinctively different from their bulk and molecular counterparts (Biswas & Wu, 2005). Plant extracts are cost effective and eco-friendly and they are the efficient alternative for the large scale production of nanoparticles (Dubey, Bhadauria, & Kushwah, 2009). 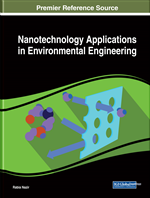 With the development of different physical and chemical methods, the concern for environmental contaminations are heightened as the chemical procedures involved in the synthesis of nanomaterials generate a large amount of hazardous byproduct emphasizing a need for ‘green chemistry’ that includes a clean, nontoxic and environment-friendly method of nanoparticle synthesis (Mukherjee et al., 2001). Nanotechnology has become a popular technology in recent years and addresses nanoparticles that are atomic or molecular aggregates characterized by size of less than 100 nm (Fatimah, 2016). Due to the unique features and applications of the nanoparticles, they are very useful especially in the field of medical imaging, biotechnology, and catalysts (Bagherzade, Tavakoli, & Namaei, 2017).